The thirteenth season of the Ensemble Liaison and Friends Concert Series held at the Elisabeth Murdoch Hall, Melbourne Recital Centre, and our fifth CD recording project featuring four new Australian works. We are delighted to be presenting our 13th year of EL & Friends in 2019. It’s always a special event to share the stage with a great singer and to open the season we are excited to welcome back one of our favourite singers, Emma Matthews, for an intimate collaboration centered around the remarkable Les Illumination by Benjamin Britten. It will also feature Gustav Mahler and a superb chamber version of the final movement of his 4th Symphony. In concert two we will be joined by three wonderful string colleagues to perform Weber’s Clarinet Quintet and Shostakovich’s Piano Quintet. To conclude the season we are looking forward to the extraordinary virtuosity of Serbian Violinist Nemanja Radulović, a dear friend to us and one of the most exciting fiddle players on the world stage. Our previous concerts with Nemanja have been veritable fireworks and highlights of the Ensemble Liaison calendar. The Ensemble Liaison & Friends series has become known as a tour de force renowned for imaginative and innovative programming, setting the trend for brilliant collaborations with leading artists. The Ensemble Liaison will also record its fifth CD in 2019 featuring new Australian works written for Ensemble Liaison by Elena Kats-Chernin, Mary Finsterer, Michael Dooley and Ian Munro. Contributions from individual donors will assist Ensemble Liaison with the expense of domestic travel for guest artists and costs associated with presenting the 2019 Series, including publicity, brochure production and administration costs. 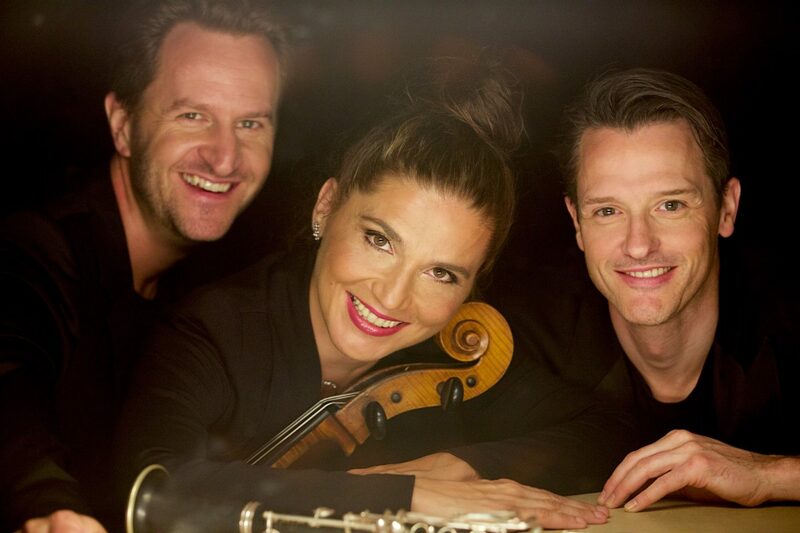 The final result will be three engaging concerts of chamber music of the highest level. Ensemble Liaison is a unique chamber music partnership formed in 2006 between David Griffiths (clarinet), Svetlana Bogosavljevic (cello) and Timothy Young (piano). As suggested by their name, collaborations form the basis of their artistic and musical vision, and partners to-date have included, Nemanja Radulovic, Peter Coleman-Wright, Cheryl Barker, Emma Matthews, Ray Chen, Henning Kraggerud, Anthony Marwood, Wilma Smith, Tony Gould, Caroline Henbest, Simon Oswell, Elizabeth Sellars, Roy Theaker, Fiona Sargeant, Monica Curro, Alex Henery, Mardi McSullea, Roger Jonsson, David Jones, Peter Wilson, Paul Grabowsky, Michael Leighton Jones, Greta Bradman, and principal members of the Australian Ballet. Ensemble Liaison performed their debut concert for ABC Classic FM in 2006, which featured in “The best of Sunday Live” for that year, and their inaugural Concert Series was held at The Edge, Federation Square, Melbourne in 2007. In 2010 they were invited to relocate to the stunning Elisabeth Murdoch Hall at the Melbourne Recital Centre. Described by Limelight magazine as a ‘national treasure’, they have performed across Australia and New Zealand and in 2012 gave a series of festival performances in Central Europe. Critics have hailed their performances with superlatives such as “spellbinding”, “flawless”, “a revelation”, “moving”, “joyous”, “polished”, “stunningly blended”, “engaging”, “powerful and having boundless lyricism, enthusiasm and dexterity”. They have been regularly recorded for broadcast on ABC Classic FM and 3MBS and have released recordings on both the Melba Recordings and Tall Poppies labels. ENSEMBLE LIAISON was appointed Ensemble in Residence at Monash University in 2010.